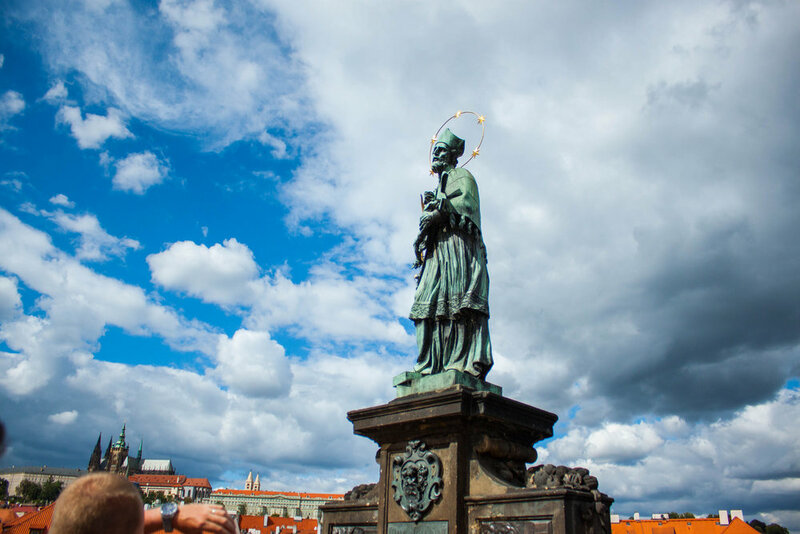 The first day I came to Prague I went straight to the world-famous Charles Bridge! The Charles Bridge is set against the stunning backdrops of Prague’s breathtaking architecture and the mirror like Vltava River. But, with such popularity comes the tourist’s nightmare; crowds! When I visited that afternoon the crowds were so thick you could barely see the bridge, ruining what I had hoped would be a magical experience. I was so overwhelmed I didn’t even venture onto the bridge and instead found a quaint side street to meander along instead. The next day, after some research, I decided to revisit it in the early morning when the crush of visitors had lessened. Although it was still busy on, it was nothing compared to the afternoon hoards we’d seen on the bridge the day before. The best time to see the bridge is either in the early morning or late at night. As previously mentioned, the afternoon is when you’ll see the most tourists arrive, especially those on tour buses or river cruises who will depart by dinner time and won’t have arrived before breakfast. 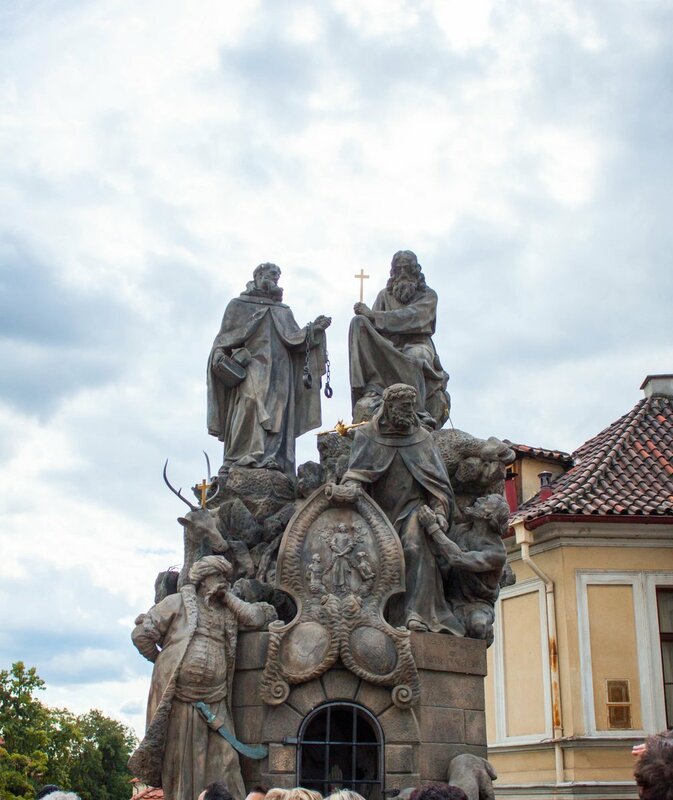 Some of the statues are very disturbing and portray the harsh reality of early medieval life in Prague. It would serve as a warning to any villagers passing through to keep on the path of virtue and to frequent the church to repent all their sins. All along the bridge, people are selling their arts and crafts. There are paintings, magnets, sculptures and more. Many of these people are very strict about tourists taking photos of their works, instead of simply being it. Which, to be fair, I do understand. We stopped at this woman's glass jewelry stand and found a beautiful and simple pair of earrings I loved. She was so sweet, and I felt great about buying something so kind and dedicated to her craft. We look a little picture, with her permission, of her beautifully manicured booth along the bridge. All in all, despite the mad crowds that scared me off, I was thrilled to have spent the time walking across the bridge. The views of both old town and the Prague Castle as incredible. Pedestrian bridges like this are few and far between and its understandable that it would be frequented by so many pedestrians. Find the right time of day and you'll find the bridge less busy and more enjoyable.